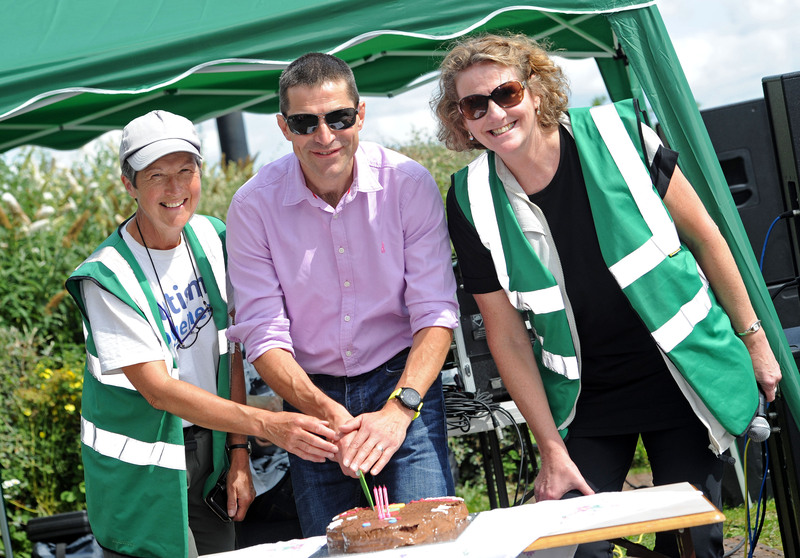 Staff and supporters at Wirral's unique Port Sunlight River Park have two reasons to celebrate. The 70-acre wildlife haven and community park built on a former rubbish tip at Bromborough Docks has been shorlisted for a Charity Times award. The park has also celebrated a landmark: three years of being open to the public as a space to exercise, relax, bird watch and enjoy views across the Mersey to Liverpool’s iconic skyline. Port Sunlight River Park was transformed from a landfill site by national land management charity the Land Trust and is now managed on a day-to-day basis by locally based charity Autism Together. This unusual community project, which has reclaimed a former landfill site and given residents access to this part of the River Mersey for the first time in a generation, won both a Wirral Third Sector Award and a national Third Sector Care Award in 2016. Its third birthday event was attended by over two thousand visitors, many of whom brought picnics and took part in family-friendly activities such as pottery painting and following trails around the park. There was also music, a birthday cake, face painting and the chance to meet birds of prey.